Are you in the mood for a modern steakhouse and looking for something a bit different? If so, you might want to try out the new J Alexander’s in Raleigh behind Crabtree Valley Mall! 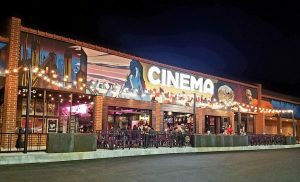 I recently received an invite for a media visit to the new restaurant and had a great dinner here. 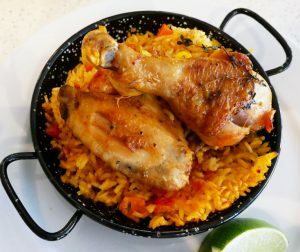 While it has a menu that focuses on meats and seafood, there are a couple of twists in their repertoire. Here’s how my visit went down at the new J. Alexander’s in Raleigh! First things first, if you’re looking for J. Alexander’s, finding it is not as easy as you would think. 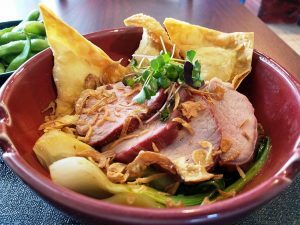 Your GPS will send you to the north side of Crabtree Valley Avenue (by Creedmoor) and you’ll see the restaurant but it’s located above you on a hilltop. Head towards the Edwards Mill Road stub off of Crabtree Valley Avenue, pass a new set of buildings on the left and J. Alexanders will be right in front of you on the left. It’s just not that obvious but stay focused, my foodie friend! 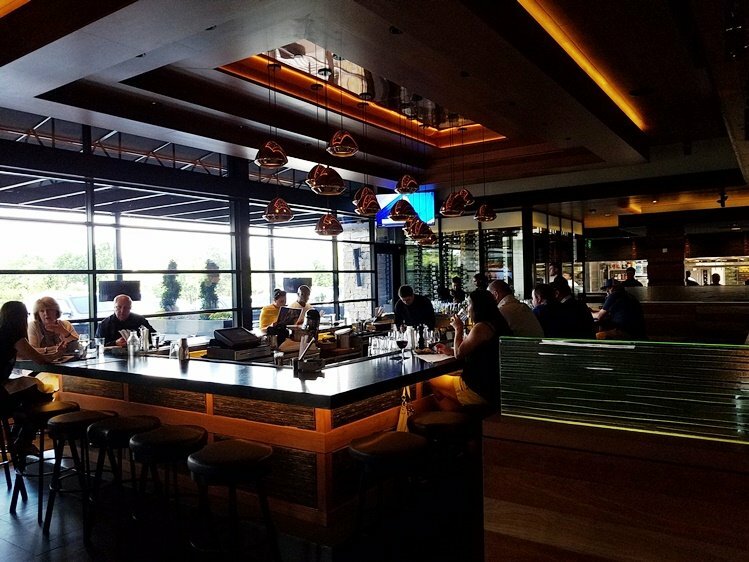 Up front, you’ll find a large covered patio at J. Alexander’s along with a demure entrance enhanced by stonework and glass. A simple and quiet restaurant front but things pick up really quickly! Like most steakhouses, J. Alexander’s has an upscale bar in front and we’re brought around to a booth in the main dining room. The design here is clean and organic in rustic browns and clean blacks making for a very modern space. Tables and booths have plenty of space between them making for a more subdued dining room that works well for conversation. All around the dining room, you’ll find wood paneling and rough-hewn slats overhead giving the space a very warm and welcoming feel. While comparable to Seasons 52 around the corner in terms of price and decor, I like the interior design here a bit more at J. Alexander’s. At the table we’re perusing the menu after ordering a beer and some wine to tide us over. 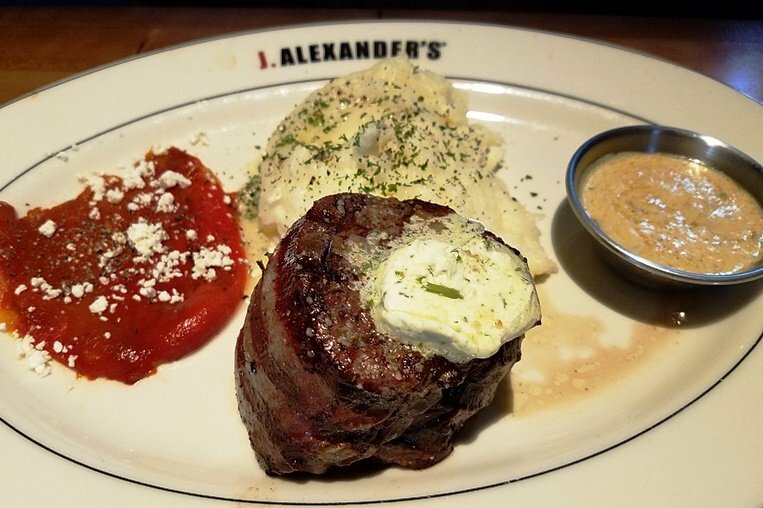 J. Alexander’s does offer quite a few steakhouse classics ranging from deviled eggs, crabcakes along with salmon, steak and ribs. One interesting part of the menu is a selection of sushi rolls which gives J. Alexander’s a modern surf and turf feel. 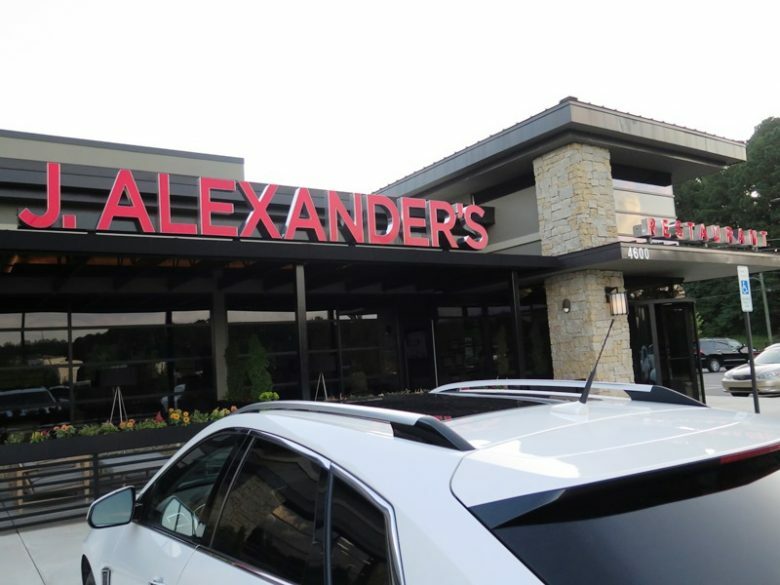 While most of the entrees are in the $20 to low $30’s range befitting an upscale steakhouse, J. Alexander’s also offers a selection of salads and sandwiches in the $10 to $15 range if you’re eating lightly. We start with some delicious deviled eggs which are heaped high with filling. 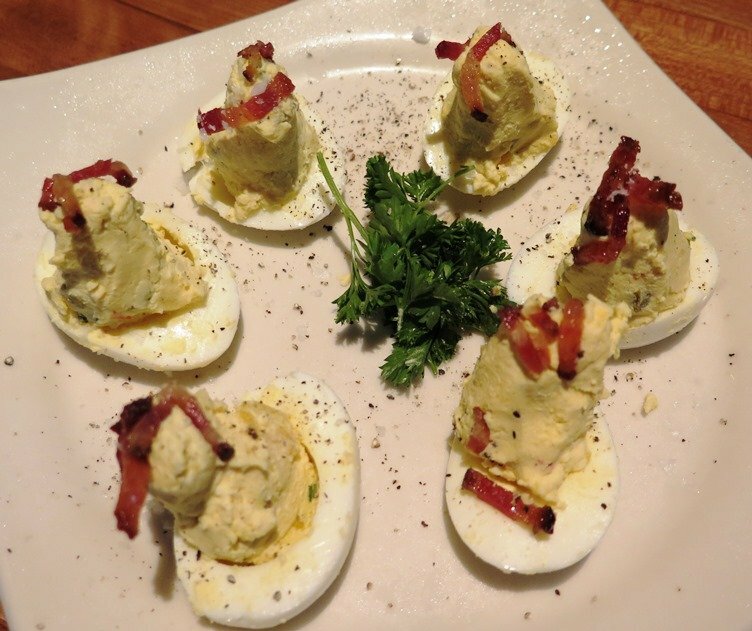 What makes the deviled eggs is the candied bacon strips which provide some great contrast. Definitely get these delicious deviled eggs! We move on to our mains which fall under the classic beef category. My tablemate goes with a filet mignon served with mashed potatoes and roasted peppers. 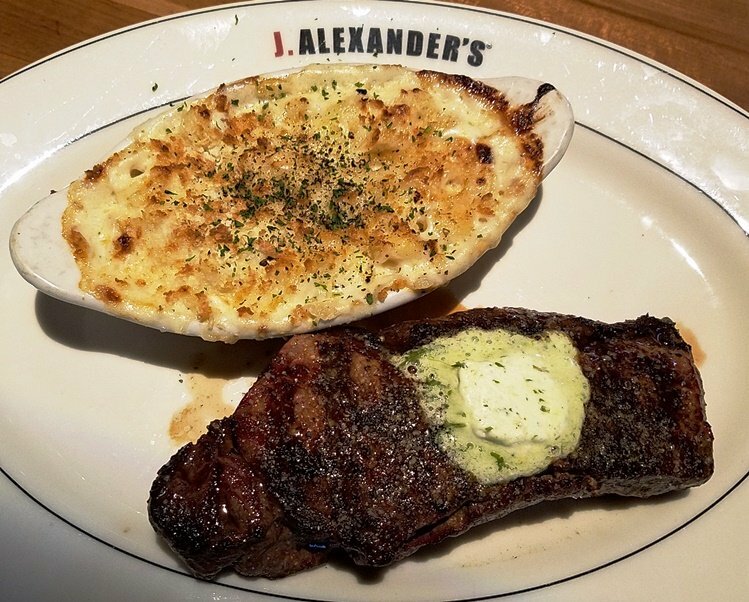 It’s declared the best steak of the year, J. Alexander’s serves up wet-aged certified Angus beef that’s perfectly grilled and finished with a compound butter, yum! My NY Strip is thick and bears that beautiful cross-hatching that’s so pleasing to the eyes. And the mac n cheese au gratin? Really fantastic showing off the tang from some gruyere cheese and pecorino romano, highly recommend it as a side here. We’re ready to fall asleep with all this food when we’re asked about dessert and, well ok, you’ve twisted my arm! 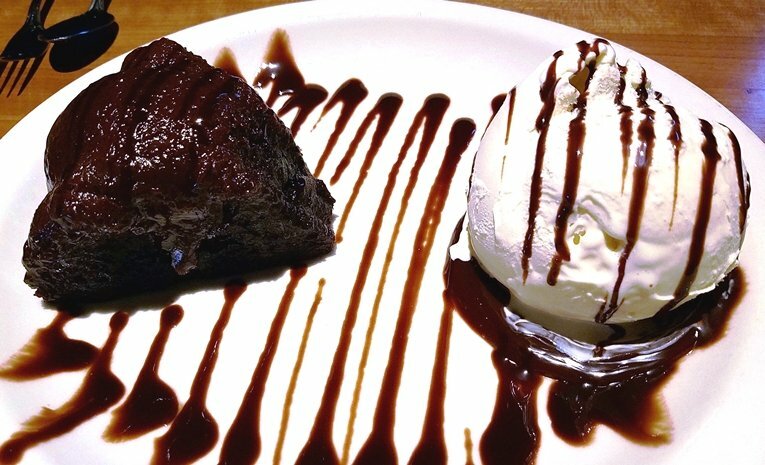 We go with the classic molten chocolate cake served up with a dense vanilla ice cream and drizzled with chocolate sauce. Some serious dessert noms, the chocolate cake is gooey and huge. Even though we’re full we plow through this dessert and now, we’re ready to tap out. The staff here at J. Alexander’s is young but well-trained and are decked out in classic black befitting a higher end restaurant. I can honestly say I was pleasantly surprised at my experience here. 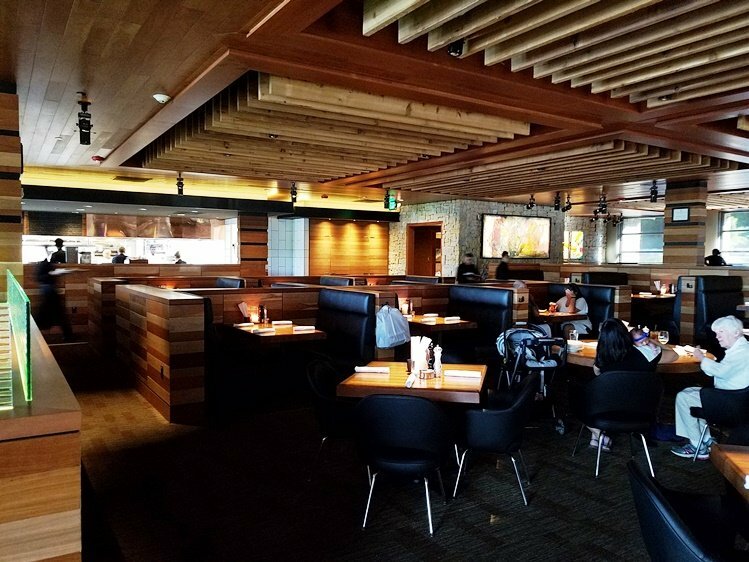 While it’s a bit on the upscale and pricier side, J. Alexander’s certainly delivers the goods in terms of decor, ambiance, food quality and portions along with service making for a strong dinner option in the Crabtree Valley Mall area! Once you’re able to find the place, it’s all downhill from there, enjoy!